To pay for fees, login to the MyGBC Self-Service Center using your 10-digit MyGBC ID. Pay by mail: pay by check or money order made payable to the Board of Regents. Include your student ID to insure proper credit. Mail payment to: GBC, Controller’s Office, 1500 College Parkway, Elko, NV 89801. Pay in person: at the Elko GBC Controller’s Office, Berg Hall, 1500 College Parkway, Elko, Nevada or your local GBC Center. 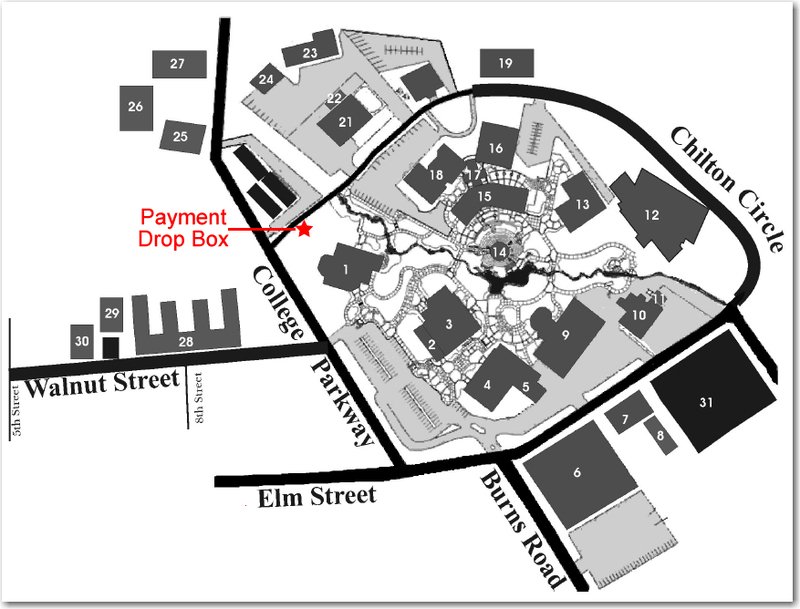 The Elko campus has a drop box for after-hours payments. A $25.00 collection fee is assessed for any returned check. Checks must be made good within 10 days after notification by GBC. Payment plan: The plan can be arranged at the MyGBC Self-Service Center. Payment agreements require a three-credit minimum. See the GBC Calendar for payment due dates. Agency or employer payment: If your fees are to be paid by a federal or state agency or employer, you must make account payment arrangements before registering. Failure to obtain proper authorization may result in late fees being assessed on outstanding balances. For more information call the Controller’s Office, 775-753-2110. Veterans' deferred payment plan: Contracts for a veteran’s deferment of fees are available for those students who are receiving educational benefits from the Department of Veterans Affairs. Contact Student Financial Services to make arrangements for the veterans' plan. See the GBC Calendar for payment due dates. The HOPE "Scholarship" is a tax credit for applicable tuition charges, not a scholarship. Eligible independent students or parents of a dependent college student may receive this tax credit. For information, contact your tax adviser. Students who have a past due balance or who are not current on their payments may have their enrollment cancelled and will be dropped from their classes. Enrollment cancellation will be processed throughout the semester. Students can request reinstatement and be re-enrolled by acquiring instructor’s permission. Payment of all past due fees must be made in full at the time of reinstatement. Effective fall 2018: Students must reinstate in all courses for which they were previously enrolled. There will be a $25.00 late fee assessed monthly if fees are not paid by 5 p.m. of the fee due date published in the course schedule. After this date, the $25.00 late fee will be assessed monthly if the fees are not paid at the time of registration. Students who have a past due balance of $100.00 or more will have their account placed on hold across all Nevada System of Higher Education institutions. Students with this hold will not be able to register for classes, request transcripts, be awarded a degree, or receive a diploma until the balance is paid in full and the hold has been removed. Any student having a past due balance that is older than 120 days and that owes $100.00 or more will be sent to collections. The student will be notified by mail that they have 30 days to pay in full before being sent to collections. At the end of the 30 days they will be sent to a collections agency. Any payment made after the end of the 30 days must be made to the collections agency.